Our Carpenters Highgate offer a first class service for repair work. Looking for Carpenters Highgate? No need to look any more, North London Locksmiths offer a repair service second to none. Not only does North London Locksmiths offer a first class locksmiths service, our Carpenters Highgate service is a Carpentry service to be reckoned with also. Our qualified Carpenters can repair your frame, after forced entry or through damaged caused by other means, as well as supply and fit new doors and replace old ones. We also supply and fit all types of locks manufactured by well known leading manufacturers or not so well known. With our expertise knowledge built up over the past 32 plus years of trading, we can recommend locks to the correct requirements. Whether you are fitting locks to wooden doors or UPVC door locks, our staff are knowledgeable in all forms of security Home fittings. Our Carpenters and Locksmiths are available 24 hours a day 7 days a week, including Week Ends, Bank holidays and the Christmas period, to undertake your work, whether it is an emergency or none emergency. To compliment our Carpenters Highgate service we have our Locksmiths service for your area, for openings or repairs of locks at fair prices. WE DO NOT CHARGE A CALL OUT FEE!! Both our Carpenters and Locksmiths are experienced in UPVC door lock repairs, whether it is to replace or repair them and our North London shop base carries a large variety of locks in stock, as well as handles and cylinders. Through our web site of Master Locksmiths we can also supply you with most types of locks as well as UPVC door locks at discounted prices. If you would like more information on our company or would like to telephone a member of our staff for any information, (WE ARE NOT A CALL CENTRE!! 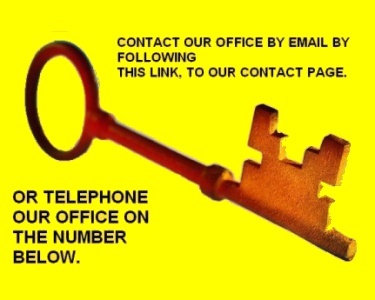 ), follow the link below to our contact page below or telephone on the number shown.